Western Vertical Holdings, a company formed by Bob Agahi and David Sellers, has begun construction on Phase 1 of The Colony, an adaptive re-use project located on 7th Street just north of Missouri Avenue in Phoenix. 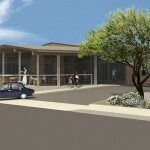 The Herb Box, innovative world cuisine with locations in Old Town Scottsdale and North Scottsdale; Stock & Stable, an American gastropub by the creators of Clever Koi in Midtown Phoenix; and Pure, a sushi restaurant based in Scottsdale; have already committed to the project and expect to open restaurants at The Colony in November. Additional local concepts are in negotiations to lease space in the 1st phase. The Colony will be a 22,467-square-foot infill redevelopment built in two phases. 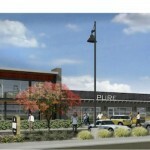 The project is located in what is becoming an emerging local restaurant district in Central Phoenix. The first phase of the project is a renovation of a building originally built in the 1950’s, which has stood mostly vacant in recent years. Terry Brodkin of Scottsdale was the owner of that building and is a partner in the first phase of The Colony with Agahi and Sellers. Phase 2 will be a newly built ground up 8,122 square foot building on the north side of the development, which will begin construction this summer and is expected to be open 2nd quarter of 2016. 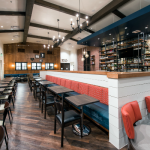 “The Colony is an example of a market shift of local restaurateurs and retailers wanting to locate in infill areas,” said Dave Sellers, who is also president of LGE Design Build in Phoenix. “Densely populated areas are now more desirable for restaurants and retail businesses than strip centers.” LGE will serve as the general contractor for both phases of the Colony. The Colony will be just south of The Yard, Sam Fox’s popular multi-restaurant destination which was formerly a motorcycle garage and dealership. 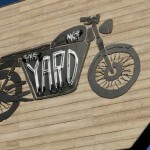 The area between Central Avenue and 7th Street, north of Camelback Road and south of Glendale Avenue, is emerging as a destination for dining with The Yard, St. Francis, Postino, Joyride, Federal Pizza, Windsor and Churn locating in the area. 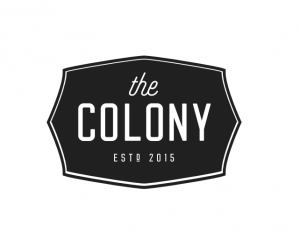 “Our goal is to bring the Best of Local to The Colony. We’ve had numerous overtures from national tenants and we have respectfully declined them every time,” said Bob Agahi. “The passion, creativity and experience you get from a local operator is unparalleled to a national chain.” Agahi is also a partner in Scottsdale-based Triyar Companies. Stock & Stable is an example of the Best of Local. Michael Rumpeltin, founder of Phoenix-based Brick & West Design, is the project designer. 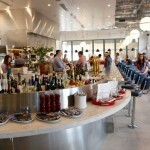 Rumpeltin has designed some of the most high-profile restaurant concepts in the Valley including Culinary Dropout and Little Cleo’s at The Yard Phoenix, Old School 07, Joyride Phoenix, Dakota, Comoncy, Taco Guild and Postino Tempe. “Passion for these food-focused projects is what drives me. They are highly social environments and because the restaurants are local, serve as incredible catalysts for community,” said Rumpeltin. In April, Sellers and Agahi will develop another project in the immediate area also designed by Rumpeltin, a single tenant building at 7th Street, south of Montebello Avenue, located diagonally across the street from The Colony. A Pomo Pizzeria Napoletana will be the tenant. 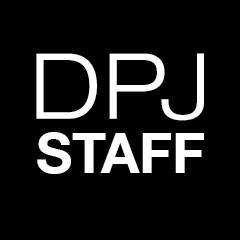 The existing Planned Parenthood facility will be razed for the new 5,800-square-foot restaurant. That project is slated to open in the 1st quarter of 2016. Rendering of The Colony courtesy of LGE Desgin Group.